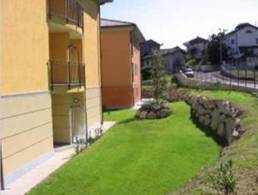 we can offer you a wide selection of properties in Laveno-Mombello. 1 properties found in Laveno-Mombello. Residential area Laveno Mombello modern and bright apartments close to Laveno and the Lago Maggiore Very quiet and green residential area. Different apartment types - some of them with private garden, some with balcony. Exclusive standards.